We have been reflecting on faith (http://www.johnthebaptistmoora.com/346443107/5029890/posting/praying-and-growing-in-faith), and on prayer, that is the way to enter deeply into the mystery of our faith. Faith is more than mere assent of mind and will, but a recognition of reality. As the Lord God created us, our assent is the precondition for true freedom. Once we realise and accept God’s truth we are free to do what we want. As Augustine puts it, love God and do what you will. However, this all a bit difficult for those who refuse to accept reality. A new book “Building a Bridge,” written by a Jesuit priest has caused an enormous outcry. Perhaps trying to bend reality to his way of thinking, it is said that Fr James (author) talks about LGBT individuals as differently ordered in their desires and passions etc. This is very different to fundamentally disordered, as the Church has traditionally taught. The question I raise is the cost of inclusiveness: If it comes at the price of our beliefs, do we trade our faith to welcome ideas that are not in conformity with God’s truth? 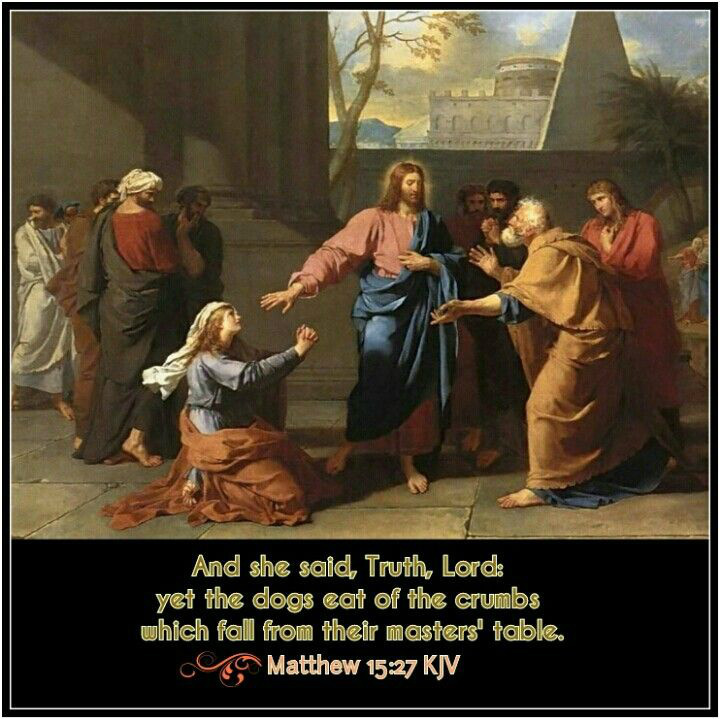 Jesus (Mat 15:21-28) had to let go of a truth of Judaism that didn’t allow him to attend to the Canaanite woman’s daughter. What was the cost of inclusiveness? The price was a man-made tradition. God established a covenant with Israel, and Jesus broke that. However, that didn’t break faith because the Truth was larger than Judaism. The cost of inclusiveness for Jesus was the Truth he was to reveal, on the Cross. Ultimately, the Lord shed his blood to extend God’s covenant to all humanity. Jesus became the bridge. We don’t need to build any more bridges. Gods mercy is on offer for all who come to him. But this offer cannot change what is offered. The offer is of God, ordered to God, and is God! Faith cannot be in things that are unseen and untrue – faith is in realities beyond reason, yet are true. Because they (the realities of faith) are true, they are reasonable even if they reflect a reality beyond the immediate grasp of reason. The bridge is real insofar as the reality of our faith we enter into, is real. What is unreasonable and untrue is to proclaim a faith in a God who gives us what we think will make us happy, instead of what is good for us. The cost of inclusiveness cannot be at the price of those who believe in a God who panders to our whims, weaknesses and every desire. The bridge is one of human fantasy, leading to eternal death. Sharing in Gods life is precisely that – God’s life – and we need to conform to that in order to cross the bridge, and end up share in the fullness of life. So, in helping those discern what way of living is good, they must be aware that conformity and assent is (simply) the recognition of reality, and the precondition for (real) freedom, love, hope, joy, happiness etc. Welcoming differently disordered people would not be a sign of love or mercy, just of a lie representing the disordered fantasies of man.